Most people know the struggle: You lift and lift each week, putting in your maximum output each time you hit the gym. 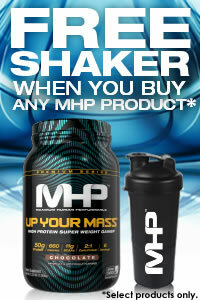 Growing and gaining mass is important to you. You want to put in the work and reap the rewards of your effort. You want to look like a superhero, or like a professional bodybuilder. You want to become immense. Yet, the needle on the scale refuses to budge. We’ve seen the stories about performance athletes like Michael Phelps and others, eating jaw-dropping feasts each day, totaling close to 12,500 calories in just one day. To put this in perspective, the recommended daily caloric intake for an average person is 2,000. If you want to grow and if you want to exceed your performance expectations, you must eat. 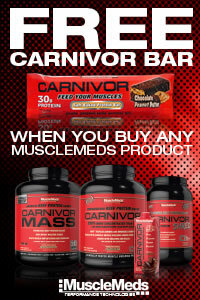 Blackstone Labs has, once again, got your back! We are breaking new ground here, a total first for us and we couldn't possibly be more excited. Normally, our focus has primarily been on supplements which lead to increased performance in particular areas while training. We have developed every product you could possibly think of in that department. After a while, we got to thinking. 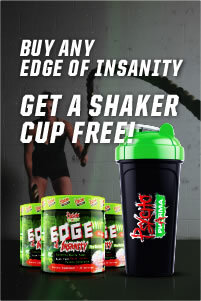 We knew how much focus a person should put into their diet and decided that it was time to jump in. Without further adieu, we are proud to present FAST FOOD. 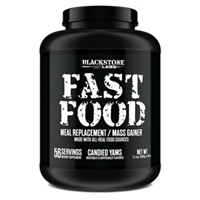 Fast Food is our brand-new meal replacement and mass gainer formula. Suitable for both men and women, Fast Food is made from all real food sources. To name a few, we have organic pea protein isolate, certified organic brown rice protein, sweet potato powder, and wild yam, among others. Did we mention that Fast Food is also made from all plant-based food sources? While great for everyone, vegetarians and people with other dietary restrictions will be thrilled to see that they can safely eat Fast Food. If you’re ready to get your meal game into overdrive, grab your Fast Food right now for the most convenient way to bulk ever created. * And stay tuned because we have a whole slew of exciting meal options on the backburner and ready to go!